Wow! For my second trip down the holiday memory lane, I sat down for I’ll Be Home For Christmas. This flick was made at the peak of the popularity of Home Improvement. The show that launched the career of young Jonathan Taylor Thomas; the star of this little Christmas bag of sleazy-feel-good. I sat down with an open mind, and got up after with the same: a gaping hole where my brian used to be. This flick hit theaters when I was but a little lad of 10. I really idolized JTT because he was a kid who was famous. And could only make good films like WIld America. I was such a stupid child. Directed by Arlene Sanford, who also unleashed A Very Brady Sequel onto humanity as well as a slew of TV episodes; I’ll Be Home For Christmas also stars the lovely, pre-Timberlake Jessica Biel and Gary Cole. The film starts off with with Jake (Thomas) a young crafty college student with all the right answers, asking his lady-friend (Biel) to join him on a trip down south (not a double-entendre) only to be shot down because she wants to spend time with her family in New-York. Coincidentally, this is where young Jake is from too. 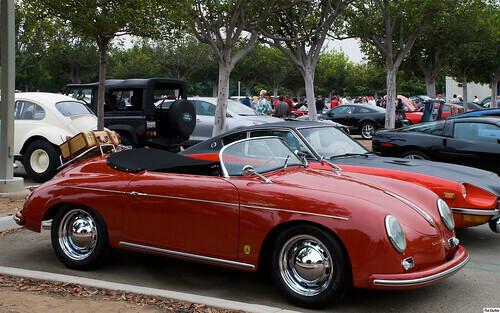 Always avoiding a trip home since his father (cole) remarried, Jake changes his tune when daddy offers his beloved 1957 Porche as a bribe to get Jake to come home for Christmas dinner. The catch? He has to be home by 6pm sharp! Unfortunately for Jake, he runs into trouble with former “clients” when one of his schemes goes awry. He’s then got to get home, save his relationship and win a car all the while wearing a Santa costume and no money to boot. He’s gotta do all that and learn the true meaning of Christmas. Like many things from my childhood, this should have stayed buried in the back of my closet until they found me in the desert somewhere down south with a Santa costume and a bottle of Jack! – The pacing. This film chugs right along like the little engine that could. I never really felt like this film was too long in length. – The dialog and humour. This is actually what I miss most about comedies from the 90’s. Nothing was too over the top. Yes, the acting sucked. But I could sit back and actually believe this scenario. – The Acting. There’s a reason The Hallmark Channel now airs this. – The lack of a true B-plot. Yes Jake’s main want is the car and his need is to learn about the true meaning of Christmas and accepting his father’s new wife, but they could have played more into Biel’s character’s doubt in Jake as a boyfriend. She was just too flat of a character to have been given so much camera time. – The moral. Yeah Jake finally realizes that he should be going home during the holiday break to see his family and not to win a car. But It really does feel like he just clicked into that mentality once he finally did make it to New York. The whole trip there he didn’t really look like he was evolving at all. I said it before and I’ll repeat it for good measure: There’s a reason this plays on The Hallmark Channel now. This movie is kinda boring. I believe it was intended to attract a younger audience than the general “family film” but in it’s delivery I can’t really find a suitable audience for this film to enjoy. Maybe spider monkeys. They’ll watch anything with JTT in it. So when searching through your vast holiday film collection to curl up next to the fire while watching; you can just skip right on over it to another Christmas film starring a Home Improvement alumni: Christmas With The Kranks! … Or maybe not. I’ll Be Home For Christmas gets THE TOILET.